A LOT TO THE TABLE. NO MESS IS TOO BIG. We are more than just a cleaning company! For over 30 years we have offered consistent, high quality and trusted services. 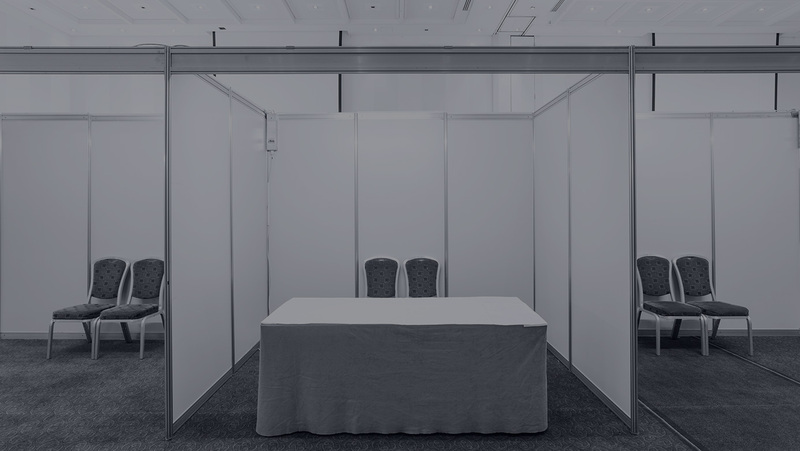 While we specialize in domestic and international tradeshows, we offer a wide range of commercial cleaning services with unmatched customer service from beginning to end. Upon consultation, all services are tailored to meet your business needs. Our experienced staff receives ongoing training, insured and bonded. ACC’s quality control department and staff work together to exceed client’s expectations. Whether you need a one time or ongoing service, partner with ACC and let us help your business or event shine! Contact ALL Convention Cleaners today! ACC is the go to for all your trade show and event cleaning needs. Our services include pre and post trash removal, recycling, aisle and booth vacuuming/cleaning to name a few. We handle exhibit cleaning and special cleaning request such as: wiping down tables, glass encasements, sink and kitchen areas and equipment. ACC also provides porter service during show hours as needed. All services are available pre, during and post show days. Call on ACC if your floors are in need of a good cleaning, shine or buffing! Our highly rated scrubbing equipment is sure to get the job done, no matter how large or small the space. ACC’S trained professional staff will first perform an onsite consult with you to assess the need. As a team, we will work together, providing you the best solution to get those floors in shape and ready to greet your clients. If your learning center or office building needs daily maintenance, ACC is here to fulfill those service needs. We service clients for end of the semester/move out to prepare your institution for the next school or work year. ACC also understands the importance of having trusted staff. Our employees are trained to work in establishments where sensitive and confidential information present. Things can get messy during an event and overall timely. Allow ACC to take that task off your hands, while you focus on the event. The ACC Porter Staff will ensure your floors are free of debris, trash cans are emptied, spills are quickly cleaned, as well as any other porter service needs you may have. Just because the pressures of the show can make a mess, doesn’t mean you have to clean it up.